Zero prep is required for this easy Instant Pot Pumpkin Puree recipe. This pumpkin puree is fresh, vibrant, and bursting with flavor. Skip the canned pumpkin puree and make your own at home with no need to remove seeds or stem. Trust me this recipe couldn’t get any easier if it tried! 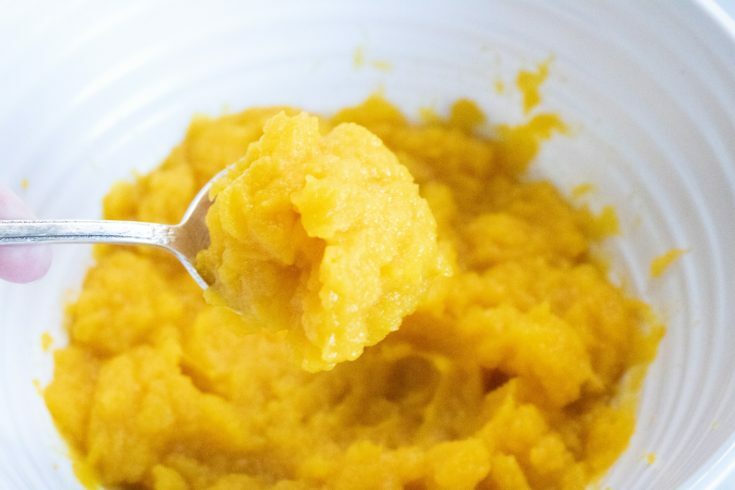 This Instant Pot Pumpkin Puree is such an amazing recipe. 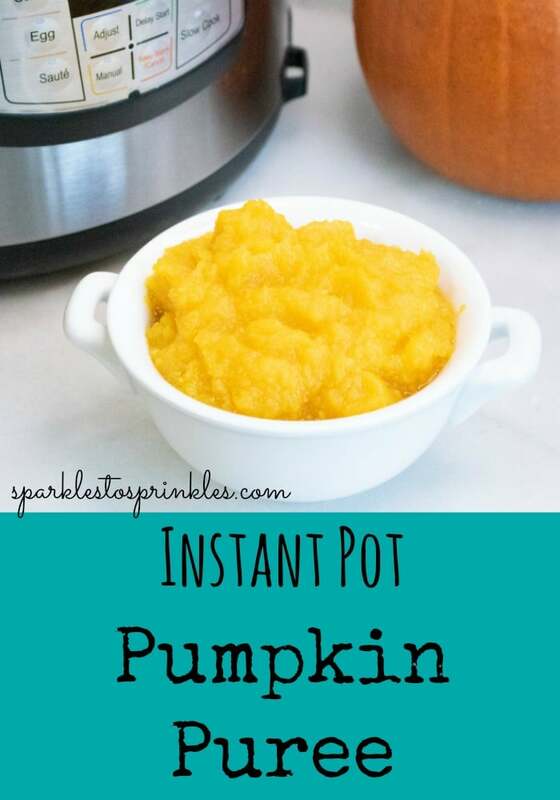 Before I owned an instant pot, I would have never considered making my own pumpkin puree. Ladies lets all take a minute and recall at least one holiday season where you could not buy any canned pumpkin puree because it was sold out. This has happened to me more holiday seasons than I care to think about. I get scared every year that it may be sold out before I have bought the cans of pumpkin puree that I will need. Have no fear any longer, you can stick your pumpkin into your instant pot and whip up some of your own homemade pumpkin puree. Homemade is always better and this could not be any easier. Once you have made your pumpkin puree try these delicious pumpkin recipes on the blog. Try the more delicious cheesecake you will ever make at home, Instant Pot Pumpkin Cheesecake, It could not be any easier to make, and the results are incredible. Instant Pot Pumpkin Creme Brulee is one of my absolute favorite desserts. I have loved creme brulee since the first time I tried it, in the fanciest restaurant. Now I can make it at home, whenever I am craving it. How about the most delicious little fun treat, Instant Pot Pumpkin Pie Bites. Once you have tried them, you will make them again and again. Can You Free Pumpkin Puree? So you make a batch of puree and have a bit extra, now what? Toss it out or does this stunning orange puree go in the freezer? 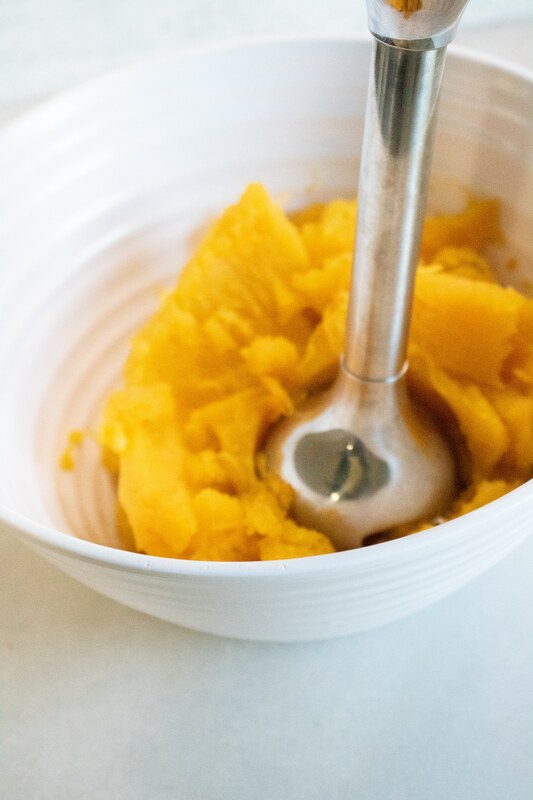 You can easily freeze your pumpkin puree for up to 3-4 months. Just freeze in a freezer bag that you allow all the excess air out or a storage container that is freezer safe. Thaw in the fridge overnight in a bowl of cold water and then use the next day! How Long Does Pumpkin Puree Last In The Fridge? Roughly around one weeks time. Store in a glass or plastic container with a lid. You will see that the liquid can begin to separate over time. Stir and then use it like you normally would. Anywhere from 5-7 days is the max for storing in the fridge. 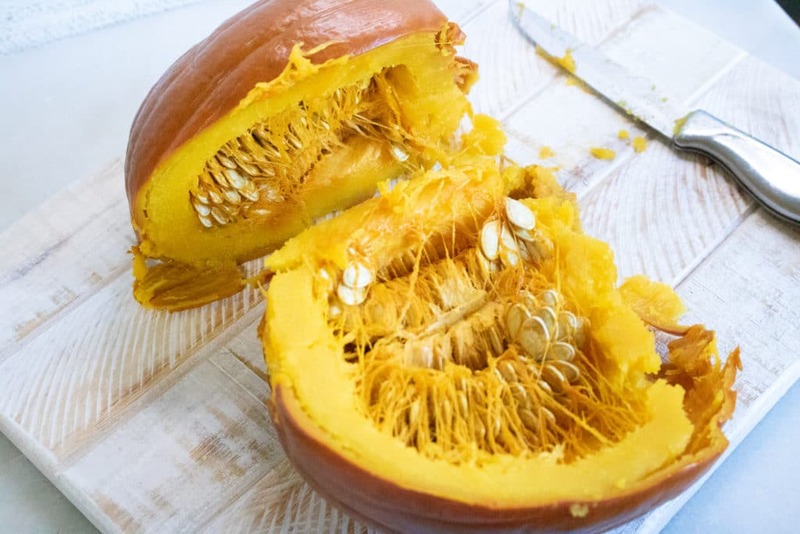 Pumpkins are really a great source so many nutrients and vitamins. I try to eat meals that have pumpkin in them often to reap the benefits from this orange puree. As you can see this pumpkin puree is delicious, versatile and beneficial to our bodies. Make some up today and see how simple it is for yourself! Never get scared you can make your favorite pumpkin recipes any time of year. 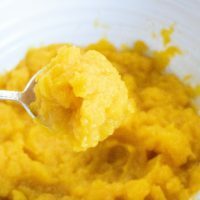 Homemade Instant Pot Pumpkin Puree is such a delicious treat that most of us would not have thought to make before our instant pots. Add water to inner pot. Place pumpkin on trivet in the inner pot. Remove stem if needed so it doesn’t touch the inside of the lid. Close the instant pot lid and turn pressure valve to seal. Cook on manual high pressure for 13 minutes. Allow for a natural pressure release. 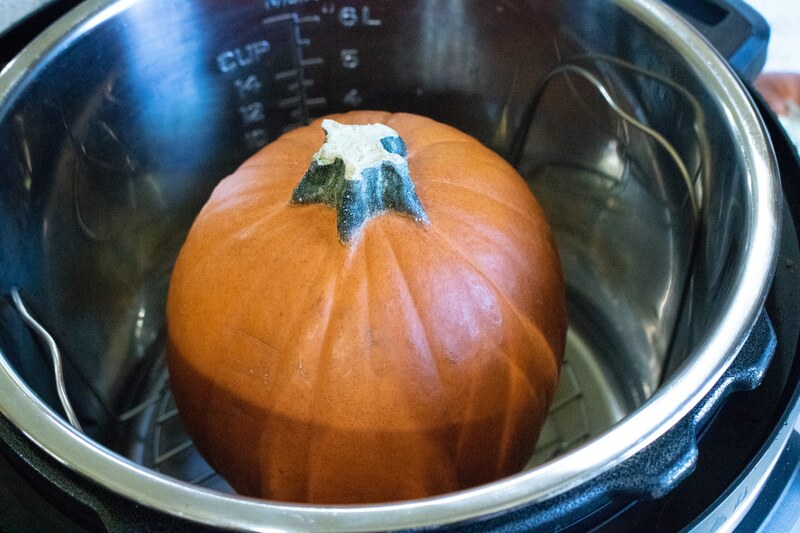 Carefully remove the pumpkin from the Instant Pot. Remove peels. Use a blender to puree the pumpkin to a smooth consistency. Store in airtight container in refrigerator and use within a couple of days or freeze. Makes about 2 cups.